After a week break from Premier Challenges, Australia is back playing Pokemon and producing VGC17 usage stats! We’ve had events in Perth, Newcastle and Adelaide this week. Following suit with the results worldwide, Australians have adapted well to the quickly developing metagame. This week we saw Jimmy Chen take out Newcastle with a team reminiscent of a standard team seen back in December. Alister Sandover dominated Perth’s event after fan favourite Alex Poole left early. Finally, Joshua Ware defeated Wilson Quan in the finals of the sanctioned PokeAdelaide event, giving Wilson another second place finish. Arcanine and Garchomp were easily the two strongest Pokémon this week. Garchomp usage saw a huge spike; from 25% of teams to 67%. However, Arcanine remains towards the top with similar usage to previous weeks. We hypothesise a few reasons for this. Viable Ground-Type Pokémon include primarily Garchomp, Krookodile and Mudsdale; with Mudsdale often not being chosen due to its low speed. When deciding between Garchomp and Krookodile in teambuilding, one may look at whether Arcanine is already in the team. This is in order to avoid a weakness to Competitive Milotic, which receives +2 in Special Attack when a stat is dropped, often triggered by Intimidate. Many players will opt to avoid double Intimidate, and thus Garchomp is usually chosen alongside Arcanine. With Arcanine’s usage, alongside a surefire way of OHKOing Arcanine with Tectonic Rage, Garchomp becomes a very attractive option for a lot of teams. When team building with Arcanine in mind, many players will prefer to have both a Water-Type and a Ground-Type Pokémon to deal with it. Due to Arcanine carrying Snarl or Wild Charge, Water-Type Pokémon such as Tapu Fini and Gastrodon may not be able to reliably KO opposing Arcanine, making physical attacking Ground-Types much more reliable in picking up the KO. The strength of both of these Pokémon is being shown here, and we expect that the trend of Arcanine and Garchomp usage remaining similar to continue as Australia’s players develop their teams even further. Tapu Fini finally rose in usage, mimicking the rest of the world in the use of ‘AFK’. AFK is a core and team archetype consisting of Arcanine, Tapu Fini and Kartana. In response to this, Tapu Koko also remains at a very strong usage as it hits all Pokémon in ‘AFK’ for consistent damage. 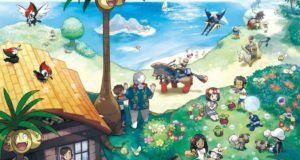 Tapu Lele’s title of ‘Most Used Island Guardian’ has been stripped from it, moving from 40% of teams to only 24% of teams. Tapu Bulu is almost irrelevant, falling to 10% usage. Steel-Type Pokémon usage remains stable across time. Both Celesteela and Kartana remain within 1% of their usage stats in the first week of January, and Metagross is within 3%. Kartana’s uncommon Grass Typing gives it a slight edge over Celesteela, especially with the rising Tapu Fini usage and being one of few Pokémon able to OHKO it before it can move. Snorlax usage is also quite high, most likely due to Markus Stadter (@13Yoshi37) recently winning the Dreamhack VGC17 Regional. We have seen Snorlax slowly gain usage worldwide, with Japan and China beginning the trend of Gluttony and Aguav Berry alongside either Belly Drum or Curse. Snorlax’s huge HP and low speed allow for it to help against Trick Room dependent teams, as well as bulkier teams with a low overall damage output. Other interesting trends include Hail setter Pokémon with growing usage, Muk, Gigalith and Porygon2 usage remaining relatively constant, and the sheer absence of Salamence, Araquanid and Goodra, all of which had strong usage previously. 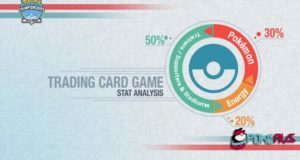 The results from the passing weekends’ PCs reflects the global metagame surprisingly well. Tapu Fini, Kartana and Arcanine lead the charge, and Garchomp usage being extremely high. 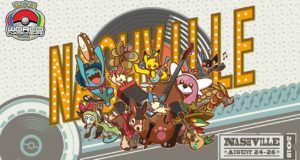 Vikavolt is one Pokemon slightly underrepresented here, and could potentially grow in the coming weeks. While Rain and Sun teams also follow suit relatively to global results, being relevant but still having low usage. We anticipate a growth in both Vanilluxe and Snorlax usage heading into coming weeks. Both of these Pokémon have been seeing more usage worldwide. Snorlax has already begun to be used by many Australian players who’ve been looking for different Pokemon to try on their team. However, Trick Room focused teams with Araquanid and Gigalith may also return in the coming weeks, with Araquanid’s Burn immunity and ability to OHKO both Arcanine and Garchomp with Hydro Vortex being very important in team building. Thanks for reading! We hope that this article can help everyone prepare for upcoming Premier Challenges this January and into February!